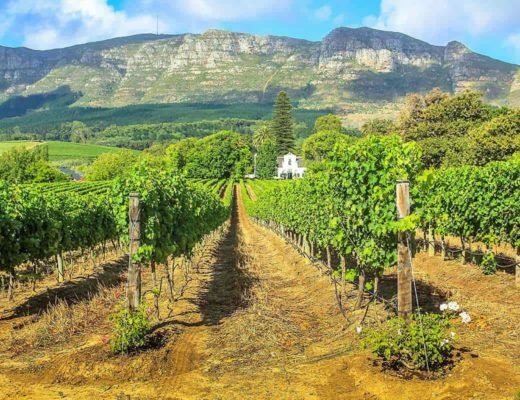 South Africa offers travelers a lot of unique experiences that people of all ages will enjoy. There is something to do for everyone, even for those with young kids in tow. Family holidays in South Africa can extend way beyond the popular safaris experiences. This beautiful country is packed to the brim with natural beauty, loads of culture as well as fun adventure experiences. There are so many fun activities and experiences in South Africa for kids to enjoy, that we truly feel that it is a top country to for families to visit. These are the 10 best places to visit on a South Africa family holiday. Located between mountain ranges and oceans, the views can’t be beat here! A cable car ride up to Table Mountain will allow your family the opportunity to see quite the scenery down below. Kids tend to love both Two Oceans Aquarium and Company’s Garden. If you are looking for a very colorful place to visit, make sure you go on a walking tour of Bo-Kaap. The pastel houses and cobblestoned streets are often a hit with the kids. You can also visit the Bo-Kaap Museum if your family would like to learn more about the area and see what some of the most popular 19th-century furnishings looked like. 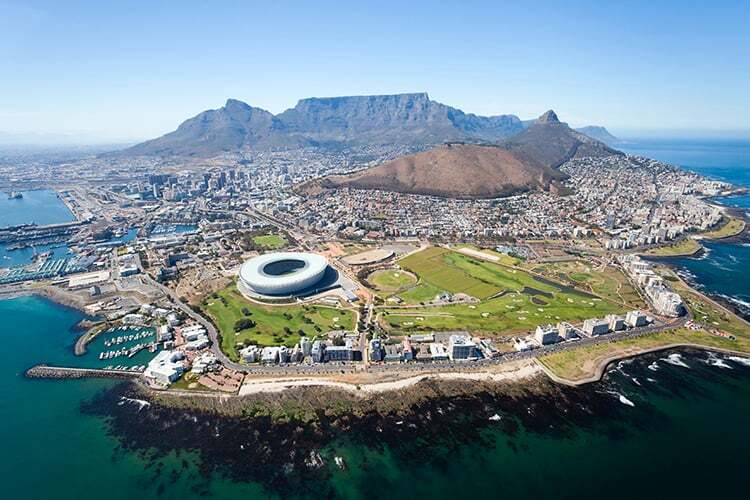 In my opinion, Cape Town is definitely one of the best family holiday destinations in South Africa! Being one of the most famous safari parks in the world, Kruger National Park is frequented by visitors. It’s home to the “Big 5” and there’s a huge chance that you and your family will be able to spot a buffalo, elephant, leopard, lion or a rhino. 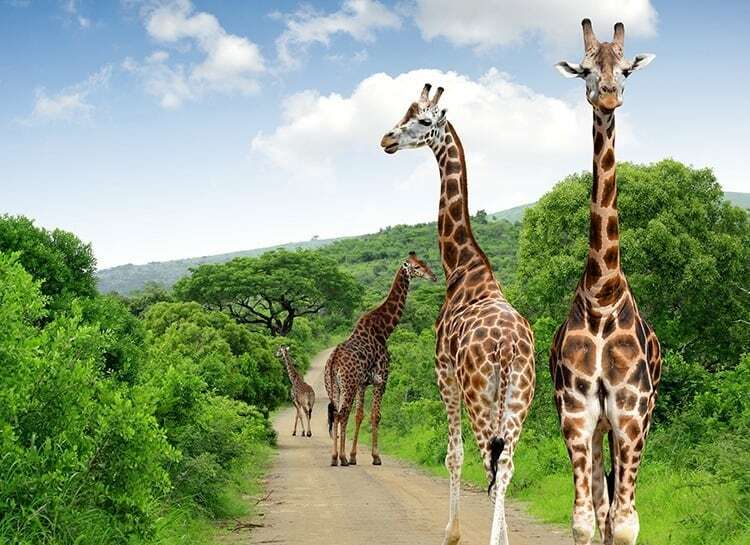 You can’t visit South Africa with kids and not head out on a ‘once-in-a-lifetime’ safari experience! Even if you aren’t exactly a nature lover you can’t help, but to have fun while you are at this park. Make sure you pack a picnic lunch so that you can see everything you want without having to leave due to the rumbling tummies of your little ones. This is a great place to go for those that have children. There are so many child-friendly activities that you might have difficulty trying to fit them all in. Make sure you check out the ostrich farms or visit the Cango Wildlife Ranch. 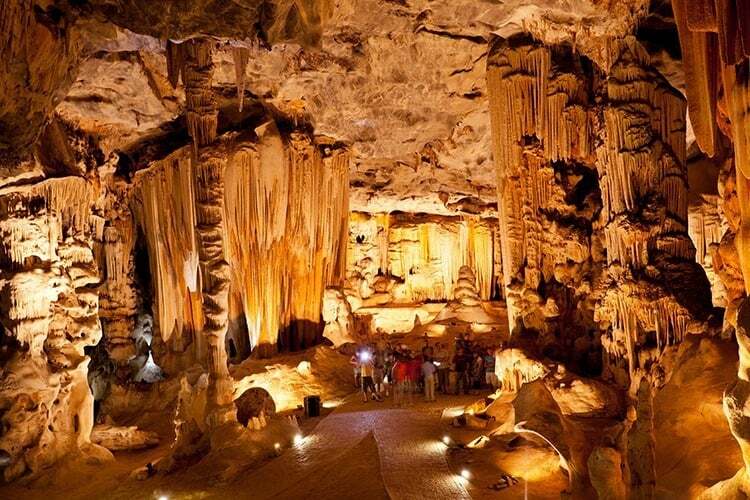 If your kids are older they will enjoy the Cango Caves Adventure Tour or Meerkat Adventures. There’s so much to do at Little Karoo that you can easily spend a few days here without your children getting bored. 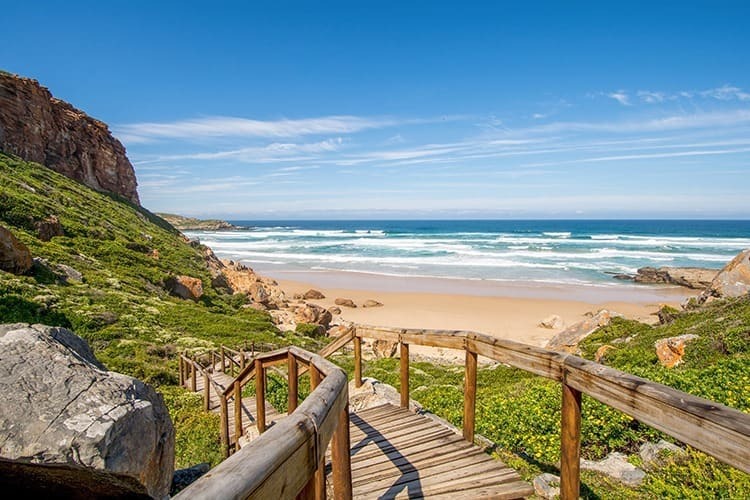 Those looking to spend some time on the beach with their family should experience the Garden Route. It’s filled with quite a few secluded beaches. You can even rent a house on the beach at Plettenberg Bay. This will allow you and your family to just be steps from the ocean at all times. Also, be sure to check out Robberg Nature Reserve as there are plenty of places to explore there. In addition to the beaches, there are also green hills, stunning lagoons and lush forests to see. 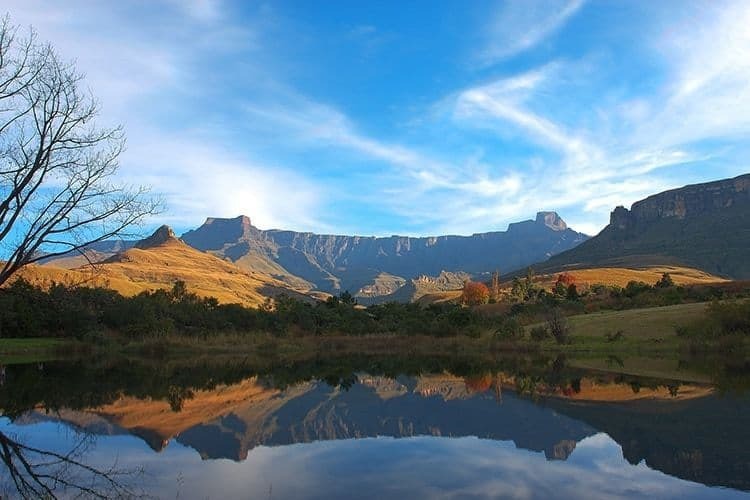 The word “Drakensberg” literally means “Mountain of the Dragon”. For many travelers it’s one of their favorite places to visit because it’s just so family friendly. There are numerous rivers and waterfalls to explore. There are quite a few open spaces so it’s the perfect place to go for those that have children and want them to run out some of their pent-up energy. Family hikes here are a great way to spend some time together and get to know the mountains. This area has become quite famous because there are just so many things to do here. It has everything from valleys to mountains to estates to explore. 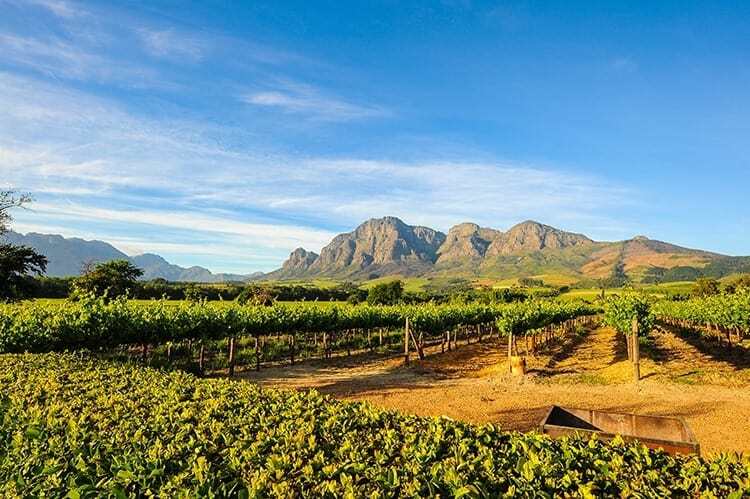 For those that want to try some of the wine that Cape Winelands is known for, they can attend a wine tasting that not only caters towards the adults but also offers a grape juice tasting that’s just for the kids. Babylonstoren is a great place to visit for families who are interested in where food comes from as it’s a working farm with a massive vegetable garden. Don’t forget to visit La Motte as you can have a tasty lunch while the kids are occupied painting a creation to take home. With 800 meter drops, Blyde River Canyon is jaw-dropping. There are quite a few different viewpoints that will leave your kids in awe. For instance, God’s Window is very interesting. 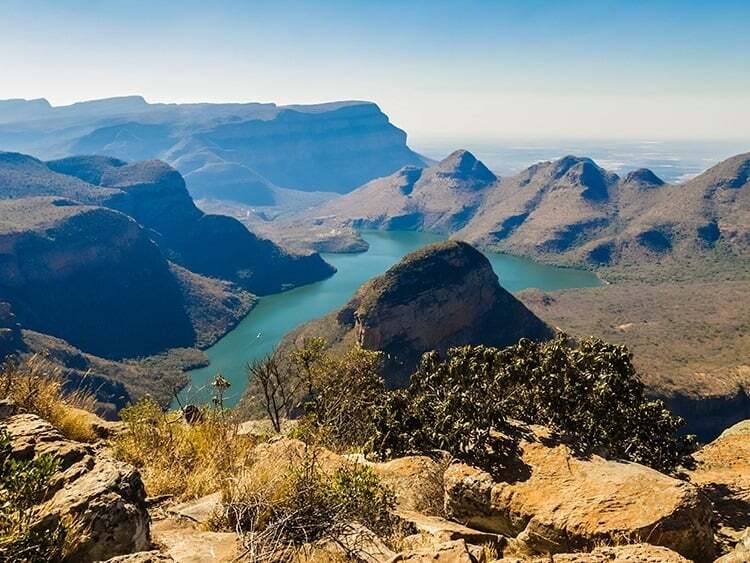 Once you visit here you will understand why parts of the Blyde River Canyon have earned the nickname the “Panorama Route”. It’s a great place to take a lot of one of a kind pictures of your family. If your children love elephants you must visit the Addo Elephant National Park. 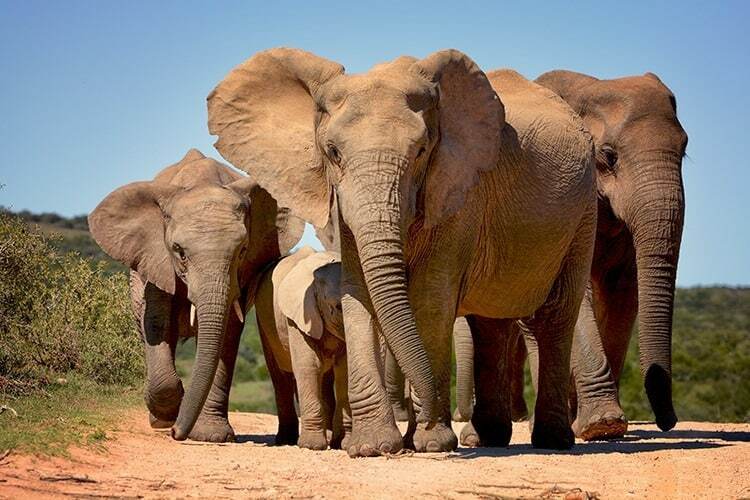 Located near Port Elizabeth, here you will find over 600 elephants. In addition to them, the “Big 7” are also located here spending time in their natural habitat. These animals include buffalo, great white sharks, leopards, lions, rhinoceros’, whales and of course, elephants. There are also numerous opportunities to interact with the animals and to learn about them and their habitats. 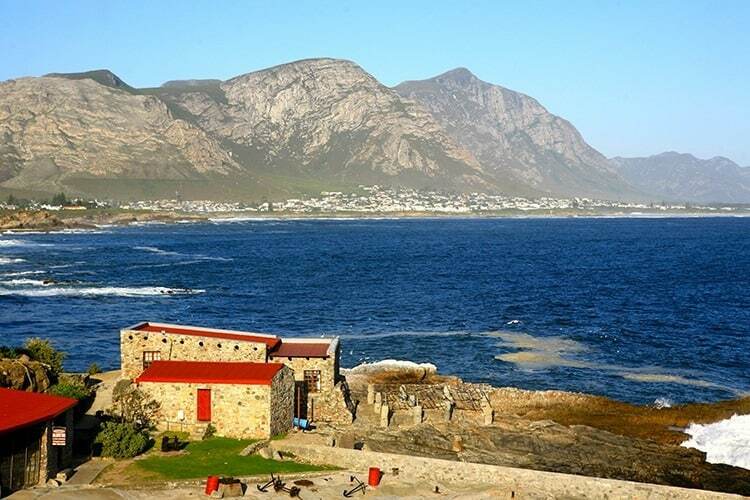 You will be hard-pressed to find more beautiful beaches than you will in Hermanus. If you are headed to the Garden Route it’s a great place to stop along the way and allow your children to stretch their legs for a bit. The sand has a golden color and the waters are fairly clear. This makes it easy to spot whales. There are numerous coastal paths to explore and enjoy the beauty of the area. If you want to try to get an up-close view of the marine life, there are boat trips available as well. 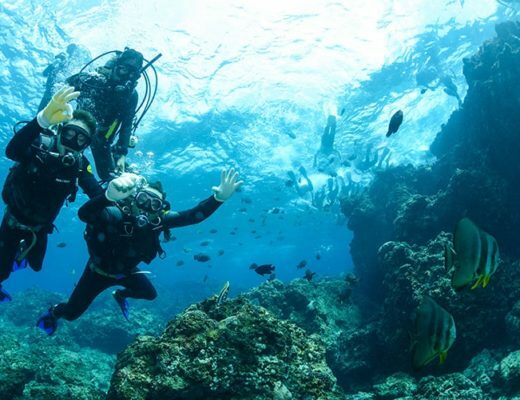 For the adults or teenagers, there are opportunities to go shark cage diving. This is the perfect place to go if you plan on being in South Africa during their winter, that occurs May through August. The weather tends to be mild around this time and you won’t have to deal with the often scorching conditions that South Africa is known for. 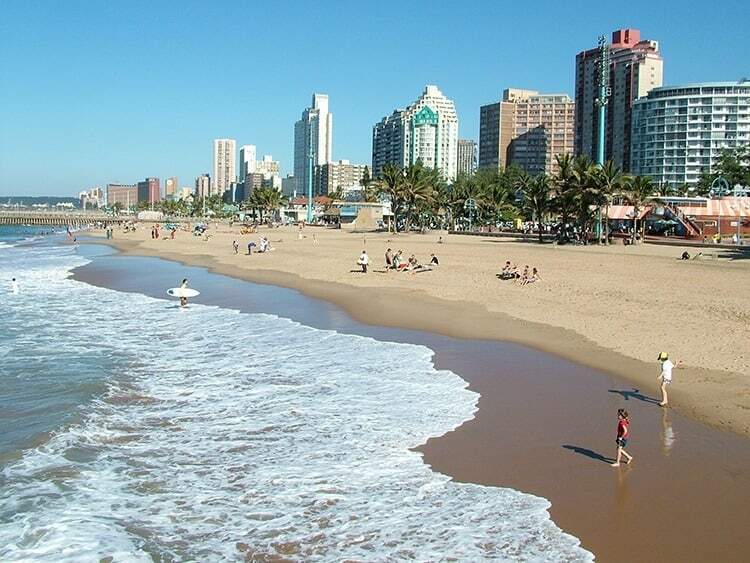 Durban & Dolphin Coast is a good place to go swimming or on a boat tour. The uShaka Marine World is very popular with families as well as the Durban Stadium Walk and the Natal Shark Centre. There are numerous opportunities to enjoy the culture in this area and a variety of different performances take place here throughout the year. 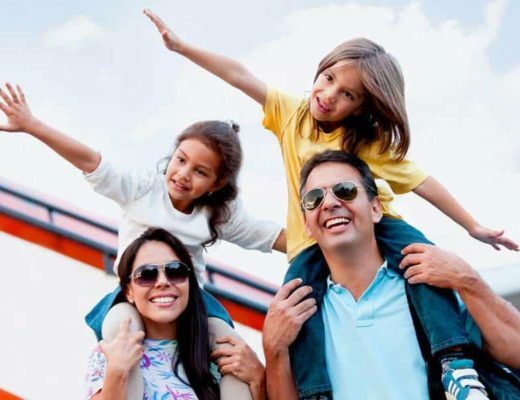 With these destinations in mind, it is easy to plan of the best family holidays in South Africa for your kids to enjoy. From beautiful scenery, fun animal encounters, to beaches, theme parks and fun adventure activities. 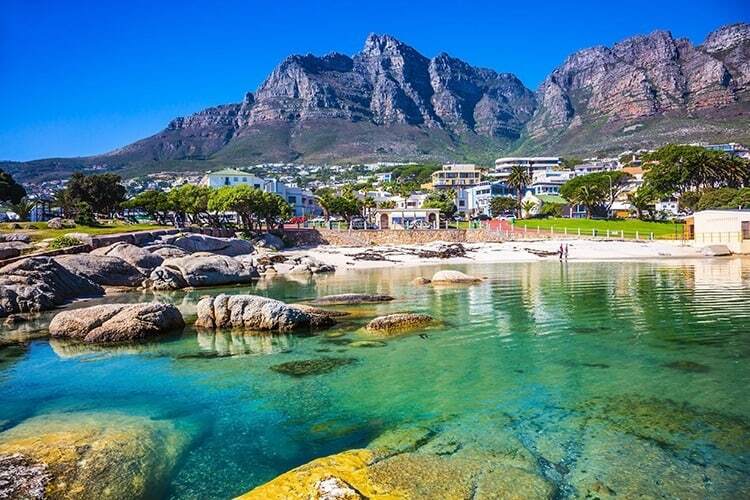 You can either organize your own itinerary or you might prefer the easy option and simply book one of these great holiday packages in South Africa. We love South Africa and we know you will love this country too! Are you planning a family holiday to South Africa? What draws you in when you think about this country? Is the nature? The Wildlife? The beaches? We would love to know!